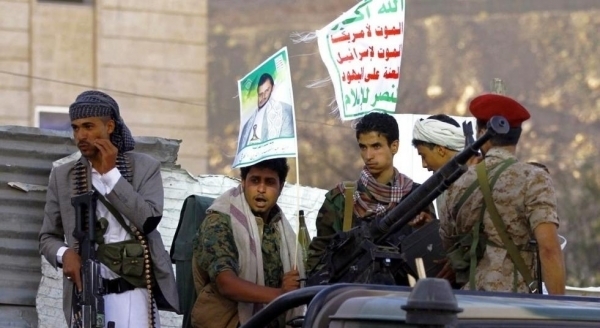 Alsahwa Net- The Houthis killed 62 civilians and wounded 217 others in the area of Hajour, in Hajjah governorate during the past few weeks, the executive of the Yemeni Coalition for Monitoring Human Rights Violations Mutahar al-Budaiji has revealed. In a speech delivered today in the Human Rights Council, al-Budaiji also said that the Houthis bombarded 24 houses, seized 123 farms and ruined 30 others, asserting that they are still committing violations against civilians. Al-Budaiji emphasized that grim crimes are being committed by the Houthis in Hajour after they managed to take it over. He urged the concerned human rights organizations to document the crimes committed against civilians in Yemen, demanding, in the meantime, to hardly work to release the detained Yemeni journalists and activists.